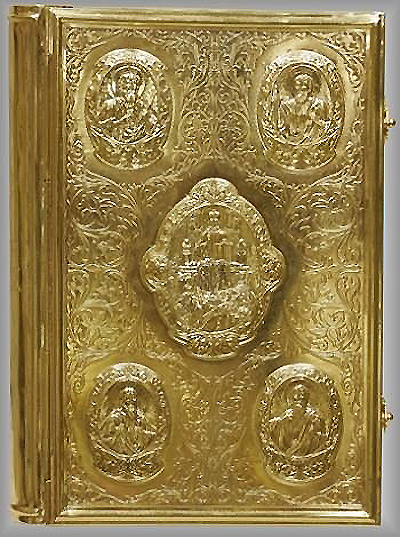 Traditional Orthodox Apostle cover. Brass, copper, gold-gilding. 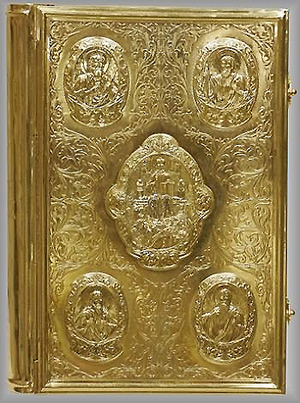 Size: 7.9''x12.2''x0.0'' (20x31x cm). Text block in Church-Slavonic is included. This cover can be custom-sized for your existing book.